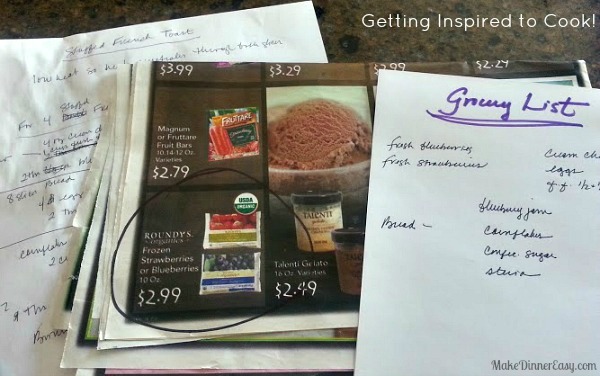 I love to create new recipes and share great places to shop. I'm excited to be part of the Collective Bias® Social Fabric® Community. 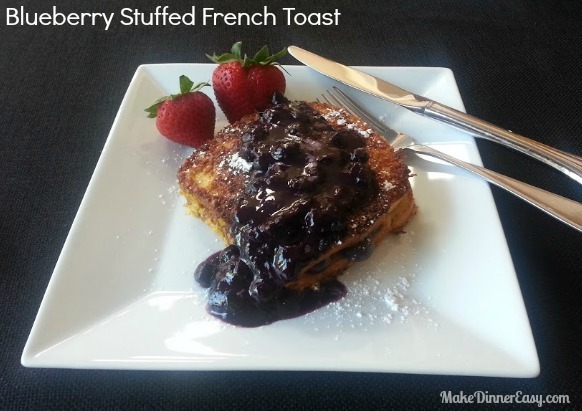 Recently I was selected to be part of a social shopper insights study for Collective Bias® and discovered some great things about Mariano’s #cbias and#SocialFabric which inspired me to create some new recipes using blueberries including this Stuffed French Toast Recipe! Although this is a sponsored post, all of the opinions in this feature are my own. 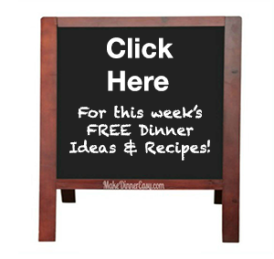 I'm often asked where I get my recipes or how I come up with new ones. Often I see an ingredient on sale or see a beautiful display at the store and think, I really need to make something with that. 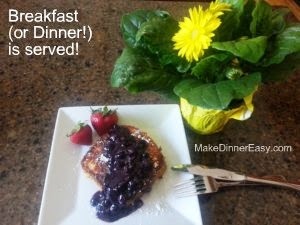 In this case, I saw blueberries on sale, and thought with the Memorial Day holiday coming it up, it might be fun to create a Red White and Blueberry breakfast! Off I go to Mariano's for additional inspiration! 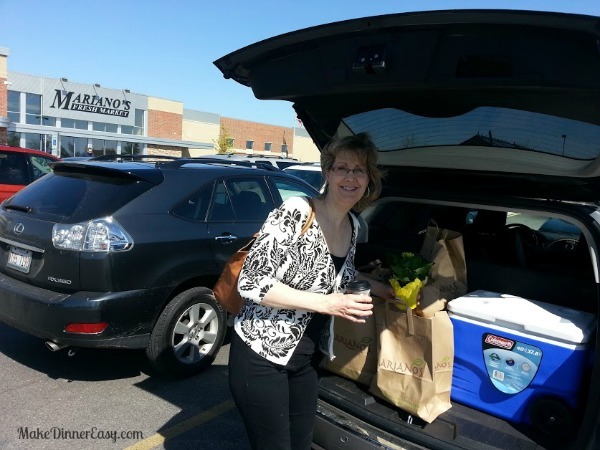 Shopping at Chicago area Mariano's is a great experience. There is a nice combination of high quality fruits and veggies (and I'm picky!) and good values. I was very happy with the freshness of the produce I bought and items were displayed in a way that inspires me to incorporate healthy ingredients in my cooking. I could sample foods and even see and smell baked goods being made. If you haven't been to this store, I would suggest getting a cup of coffee (see why you want to get a Mariano's Rewards Card on the right) and walk the aisles. You will find a combination of high end ingredients, house brand staples which are well priced, and they even have an aisle of warehouse sized value items. Since the frozen organic blueberries and fresh blueberries were priced really well, I decided to create a recipe for a Blueberry Stuffed French Toast using blueberry jam to really kick up the blueberry flavor. I've got all the ingredients I need to cook! Since I planned to buy frozen blueberries I brought along a cooler to keep them frozen on the way home,. I've got my coffee and a pretty flower for my kitchen counter so it's time to go home, unpack, and cook! If you want to see photos (and captions!) of my shopping trip, check out the Google+ Album I created! In a shallow pie plate or bowl, whisk together the eggs and milk, set this aside. Pour the cornflakes in a zip style bag and use a rolling pin or your hands to crush the cereal into a fine meal. Pour this into another shallow pie plate or bowl and set aside. Dredge each "sandwich" in the egg mixture, coating both sides well. Melt 1-2 Tablespoons of butter in a large skillet. 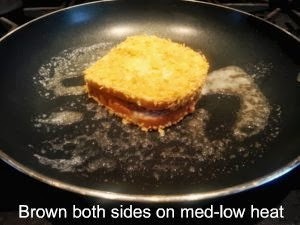 Place 1-2 of the stuffed french toast sandwiches in the skillet and cook over medium-low heat for 1-2 minutes per side until golden brown. Transfer to a warm platter and cook the other sandwiches. Garnish with strawberries and powdered sugar and serve with homemade blueberry sauce or syrup if desired. 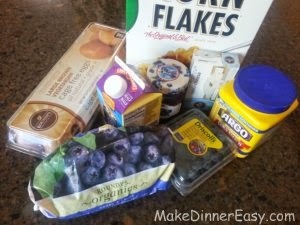 If you are looking for more breakfast recipes, Mariano’s has quite a few under their recipe section (I rather liked their Muffin Base Recipe as you could change it up as you want!) If you're a foodie like I am or just like to shop at a nice store, I think you will enjoy following Mariano's on Twitter and Mariano's on Facebook! 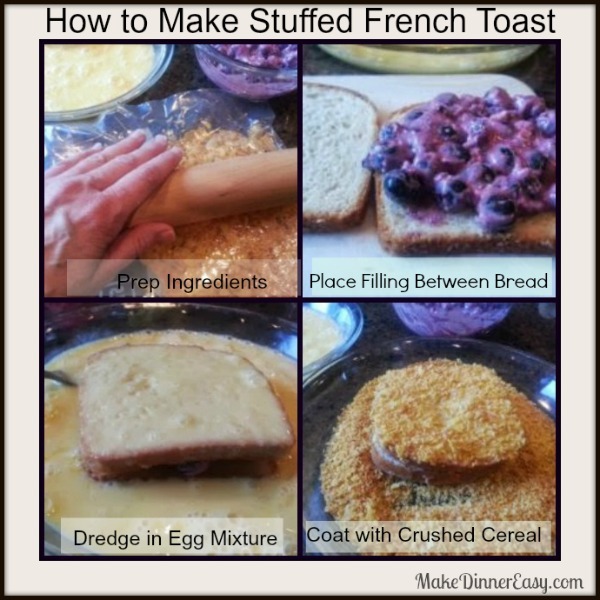 I hope you enjoy this recipe and would love to hear how you make Stuffed French Toast or how this recipe worked for you in the comment section below! 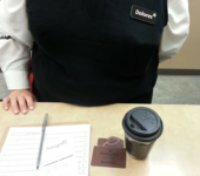 I met Dolores at the Customer Service desk who explained the benefits of their Rewards Card. I learned that I can get my 11th coffee (or gelato!) for free by using my card. What I liked is that you don't have to use their card to receive sales and savings. So, yes I have a card and I enjoyed my sugar free vanilla latte even more knowing that my 11th one would be free! My picks are either challah bread, which is similar to a brioch or Peppridge Farm White Bread. For this recipe you don't want too thick of a bread since each serving calls for two slices with the berry mixture in between. 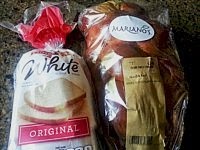 Mariano's carries both types of bread and the bakery can even slice the challah bread for you if you opt for that! Feel free to share the type of bread you prefer to use for French Toast in the comment section at the bottom of the page! 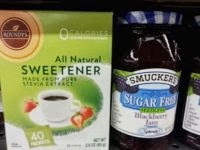 Mariano's carries low sugar and sugar free jams and I was happy to see that they also carried Stevia which is a natural sugar free substitute. 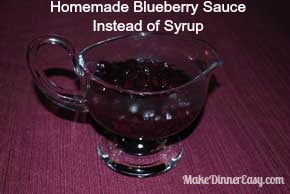 A low sugar jam could be used in the blueberry filling and stevia could be used in the blueberry sauce. If you are using unsliced bread, slice what you will need and reseal. The blueberry filling can be made ahead, covered and refridgerated. You will just need to let it come to room temperature or microwave it for abou 15 seconds so that it is spreadable. The cereal and be crushed ahead of time. I would just leave it in the zip-style bag to keep it fresh. Even the egg mixture can be made ahead. Just make sure to seel it well so it doesn't slosh in the fridge and whisk it again in the morning. Pour the blueberries into a medium sized saucepan. Combine the cornstarch, water, and sugar in a small cup. When completely combined, pour this mixture over the blueberries and stir. Then place the pan on the burner and cook over medium low heat, stirring constantly. Continue to stir and cook until thickened, about 5-8 minutes.